We are in high spirits of celebrating Christmas, leaving behind 2015 and all set to embrace a new year. We spend cherished moments with our family and friends and feel blissful about being together. 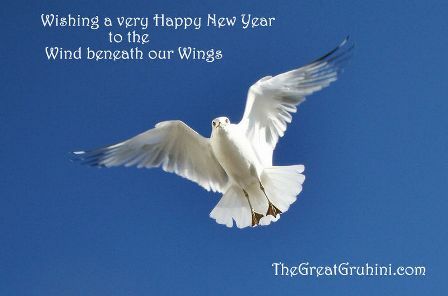 We at TheGreatGruhini.com are feeling blessed too. We are blessed to have Gruhinis like you, your spouses and kids, who we would like to believe, have developed a deeper bond with their money in our two and a half year journey. Its time we expressed our gratitude to Gruhinis who have empowered us with their fascinating stories of managing money, teaching kids, managing career transitions, setbacks. Whenever we are in self-doubt, we read these time-less stories. Here is a quick recap of the Gruhinis who have helped Thegreatgruhini.com reach a wider audience. My first note of gratitude goes out to Ketayun Irani, a vice president at an IT company and a Gruhini who gave us the first lesson on how to be a money savvy mom. Deepa Jayaraman, a single mom who has dared to dream big despite personal setbacks. She adores spending time with her son, Shlok. And what really helped her do all this was a financial roadmap after the separation. My third note of thanks is for Fiona Dias Miranda, the Gruhini who inspired me toteach my kid about experiencing gratitude. I have in-turn inspired 15 odd moms in my area to experience and teach our kids about giving without expecting anything in return. Sangeeta Jain, another single mom reminded us through her story, that how important it is to know about family’s investments even if you aren’t the the breadwinner. Priti Fernandes and Shweta Narayan the Gruhinis from whom we learnt how to cut our grocery bills by half and how to live a card-less yet a happy life respectively. In early 2014, hen we were warming up to the idea of online shopping, Smita Vanam told us how she found best online deals at 4 am! Sandhya Sadananda Gupta, an entrepreneur who stuck her neck out to tell us the truth about riding a business journey from a fulltime job . This was in 2013, much before you read realms of advice on women entrepreneurship. We also thought about our Gruhinis who constantly were in search for a perfect work from home opportunity. We invited four successful work from home moms– Deepa Govind, Gargi Banerjee, Jessi D Souza, Khyati Dharamsi and Gunjan Pai. They told us how they managed fresh green peas in the kitchen along with work deadlines and school picks ups! It has been truly a fantastic journey with all of you. Wish to create more gems in 2016! Keep Following and Keep Reading us !